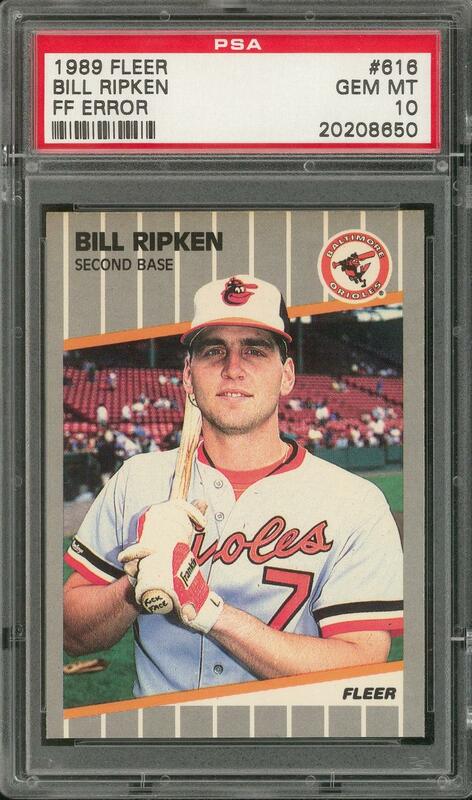 Graded GEM MT 10 by PSA. An illustrated USA Today article published in the Spring of 1989 caught the nation by surprise, and briefly propelled the baseball card hobby to the forefront of public attention. 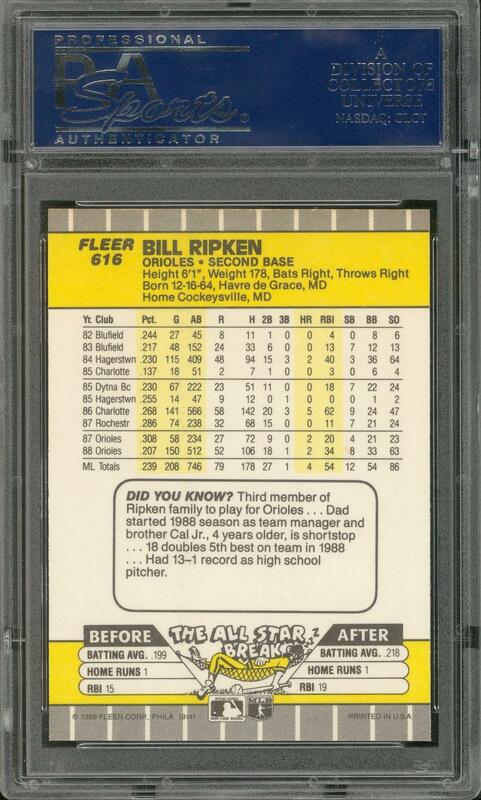 It seems that Fleer's editors missed the presence of a tiny obscenity inked on the knob of Bill Ripken's bat on his as-issued gum card; to the delight of readers across the country, the newspaper's photo recorded and publicized this oversight – along with the cheeky smile of Cal Ripken, Jr.'s brother. Here's a pack-fresh specimen of this amusing, conversation-inspiring collectible, in Gem Mint condition.